Citation: Vana DR. Personalized NanoMedicine: Not Just A Tool but towards an Excellence. Transl Biomed. 2016, 7:2. Over the decades, immense research in Biomedicine has been provided an accurate and deep understanding related to lethal diseases such as Cancer, HIV and Myocardial infarction; however, the complexity of disease and difference from individual to individual, it is difficult to diagnose at early stage and treatment. To fulfill the gap personalized medicine has been introduced, which is defined as ‘tailoring or monitoring of diagnosis and therapies to the genetic profile of an individual. Over the decades, immense research in Biomedicine has been provided an accurate and deep understanding related to lethal diseases such as Cancer, HIV and Myocardial infarction; however, the complexity of disease and difference from individual to individual, it is difficult to diagnose at early stage and treatment. To fulfill the gap personalized medicine has been introduced, which is defined as ‘tailoring or monitoring of diagnosis and therapies to the genetic profile of an individual’ . In recent past, there is an increased interest in Nanotechnology and nanomedicine, which refers to the study of phenomena and the manipulation of matter at the atomic and molecular level. The vision of this technology is to improve productivity, health care, human potential and sociality issues such as higher limits of sustainable development . Nanoscience, evolved to the next levels and used as potential environmental monitoring agents like nanostructured gas sensors  and for medical applications, particularly as drug delivery systems [4,5]. Personalized nanomedicine is designing of novel nanomaterials with increased binding affinity, controlled navigation, sustained release of drug, good biocompatibility, and maximum therapeutic potential which are crucial for effective theranostic approaches . It may defined as “combining noninvasive imaging with targeted drug delivery seems to hold significant potential for personalizing nanomedicine-based chemotherapeutic interventions, to achieve delivery of the right drug to the right location in the right patient at the right time” . As the biomedical research progressed, tremendous unconventional and promising strategies have been developed and successfully tested for biomedical applications . Cancer is one of the deadliest diseases and a major challenge to the researchers to find the closest way to deliver the drug at targeted areas. Advances in personalized nanomedicine addressed the issues like delivering enough drug to right area . Moreover, it provides new insights in understanding the individual genomes to find out the endpoints to develop strategies and therapies for multiple cancer genes. Development of RNA interference based approaches is one of the unconventional approaches that are effective in delivering therapeutic agents than antibody based drugs . Ovarian cancer is one of the most reported cancers for which use of single biomarker is not effective in rapid detection. Therefore, an array is required to develop the multiple biomarkers to increase the accuracy. Nano-enabling sensors would be potential to detect the target biomarkers at even picomolar or femtomolar (fM) level . Even after many significant breakthroughs in cancer studies, still there is lack of molecular biomarkers for detecting the heritability and genetic cause of some tumors . Cancer targeted nanotechnology and nanotheranostics may provide future developments of new age treatment and diagnostic options against the one of the most threats of humankind [13,14]. AIDS is the one of the major challenges to the mankind. Though, antiretroviral therapy (ART) and highly active antiretroviral therapy (HAART) have been successful as one of the treatment options over the years, outcomes are limited by several factors. Thus, nano-formulations are gaining attention to solve these problems by delivering ART to the targeted locations such as brain, lymphoid tissues, and monocytes/ macrophages . Numerous studies focused on developing new strategies for AIDS and HIV. Roy et al. reported that the anti-HIV activity of the nanodrug was also significantly higher compared to that of free drug  and they reported role of multidrug resistance-associated protein (MRP) transporters during HIV and TB infections . Most ARV drugs have zero delivery across the brain barrier; therefore, CNS serves as the natural viral reserve for HIV. Personalized Nanomedicine provides more effective, target specific, safe and controlled drug delivery across the blood brain barriers [6,18]. For further extension, Nair et al. has reported many advantages of personalized nanaomedicine in treatment of neuroAIDS and CNS disorders [19-22]. Only 30% of the Americans are using the HAART properly and only half of the 14 million people are eligible for HAATR therapy . Kutscher et al. reported macrophage targeted nanoparticles for antiretroviral therapy in which the dose of nevirapine greatly reduced, limit side effects and provide maximum ARV activity . Designed nanoformulations are playing critical role in drug addiction and abuse [20,25]. In a study, Rao et al. reported the role of novel nanoformulations glutamate transporter excitatory amino acid transporter 2 in treatment of drug addiction . Some studies reported that intracellular magnetic nanoparticles are effective in hyperthermia has been reported . Bragazzi et al. 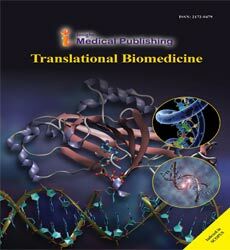 reported the novel approach and the role of nanogenomics and personalized nanomedicine in kidney transplantation. They concluded that the data driving approach by ab initio investigation improves the understanding of the topic . Nano enabled electrochemical β-A sensing technologies are widely using as a tool for Alzheimer’s disease diagnosis and management . In conclusion, the evidences showed that personalized Nanomedicine is a tool that can be used to develop new drugs and delivery systems. Number of studies were reported successful in vitro, however, most of them are reported unsuccessful in pre-clinical and human models. More or less, personalized nanomedicine is now a common tool for all, further research in this integrative science is necessary to move forward. Guchet X (2015) What's in a word? The person of personalized (nano)medicine. 10: 3167-79. Charitidis CA (2015) Nanotechnology and the Applications in Life Science. Int J NanomedNanosurg 1.1: e101. Kaushik A, Kumar R, Jayant RD, Nair M (2015) Nanostructured Gas Sensors for Health Care: An Overview. J PersNanomed 1: 10-23. Theek B, Rizzo LY, Ehling J, Kiessling F, Lammers T (2014) The Theranostic Path to Personalized Nanomedicine. Clin Transl Imaging 2: 66-76. Tomitaka A, Takemura Y, Huang Z, Roy U, Nair M (2015) Recent Advances in Magnetoliposomes as Drug Delivery Carriers. J PersonaliNanoMed1(2):51-57. Nair MPN (2015) Personalized NanoMedicine: Towards new Theranostic Approach. J PersonaliNanoMed 1:1-2. Lammers T, Rizzo LY, Storm G, Kiessling F (2012) Personalized nanomedicine. Clin Cancer Res 18: 4889-94. Popescu RC, FufÃÂ MO, Grumezescu AM (2015) Metal-based nanosystems for diagnosis. Rom J MorpholEmbryol 56: 635-49. Sheikh FA (2015) Perspectives of future personalized nanomedicine. J Pharmacogenomics Pharmacoproteomics 5:5. Stegh AH(2013) Toward personalized cancer nanomedicine-past, present, and future. 5: 48-65. Kaushik A,Runowicz CD, Jayant RD, Nair M(2015) Lab-ona-Chip for Ovarian Cancer Monitoring. J PersonaliNanoMed 1(2): 38-39. Ma Y, Huang J, Song S, Chen H, Zhang Z (2016) Cancer-Targeted Nanotheranostics: Recent Advances and Perspectives.Small 10.1002/smll.201600635. Srivastava R (2015) Cancer Nanomedicine; Present Clinical Scenario. J PersonaliNanoMed1:49-50. M Midde N, Kumar S (2015) Development of NanoART for HIV Treatment: Minding the Cytochrome P450 (CYP) Enzymes. J PersonaliNanoMed 1(1): 24-32. Roy U, Ding H, Pilakka-Kanthikeel S, Raymond AD, Atluri V (2015) Preparation and characterization of anti-HIV nanodrug targeted to microfold cell of gut-associated lymphoid tissue. Int J Nanomedicine 10:5819-35. Roy U, Barber P, Tse-Dinh YC, Batrakova EV, Mondal D (2015) Role of MRP transporters in regulating antimicrobial drug inefficacy and oxidative stress-induced pathogenesis during HIV-1 and TB infections. Front Microbiol 6:948. Sagar V, Pilakka-Kanthikeel S, Pottathil R, Saxena SK, Nair M (2014) Towards nanomedicines for neuroAIDS. Rev Med Virol 24: 103-24. Nair M, Jayant RD, Kaushik A, Sagar V (2016)Getting into the brain: Potential of nanotechnology in the management of NeuroAIDS. Adv Drug Deliv Rev10.1016/j.addr.2016.02.008. Sagar V, Atluri VS, Pilakka-Kanthikeel S, Nair M (2016) Magnetic nanotherapeutics for dysregulated synaptic plasticity during neuroAIDS and drug abuse. Mol Brain doi: 10.1186/s13041-016-0236-0. Jayant RD, Sosa D, Kaushik A, Atluri V, Vashist A (2016) Current status of non-viral gene therapy for CNS disorders. Expert Opin Drug Deliv 1:1-13. Jayant RD, Nair M (2016) Role of Biosensing Technology for NeuroAIDS Management. J BiosensBioelectron. 2016 7: e141. CDC. HIV in the United States: At A Glance. 2014. Rao PSS, Yallapu MM, Sari Y, Fisher PB, Kumar S (2015) Designing Novel Nanoformulations Targeting Glutamate Transporter Excitatory Amino Acid Transporter 2: Implications in Treating Drug Addiction. J PersonaliNanoMed 1: 3-9. Tomitaka A, Takemura Y (2015) Measurement of Specific Loss Power from Intracellular Magnetic Nanoparticles for Hyperthermia. J PersonaliNanoMed 1: 33-37. Bragazzi NL, Nicolini C (2014) Nanogenomics for Personalized Nanomedicine: An Application to Kidney Transplantation. Cell Mol Biol 60: 115. doi:10.4172/1165-158X.1000115. Kaushik A, Jayant RD, Tiwari S, Vashist A, Nair M (2016)Nano-biosensors to detect beta-amyloid for Alzheimer's disease management. BiosensBioelectron 80:273-87.